DAVID LE/Staff photo. 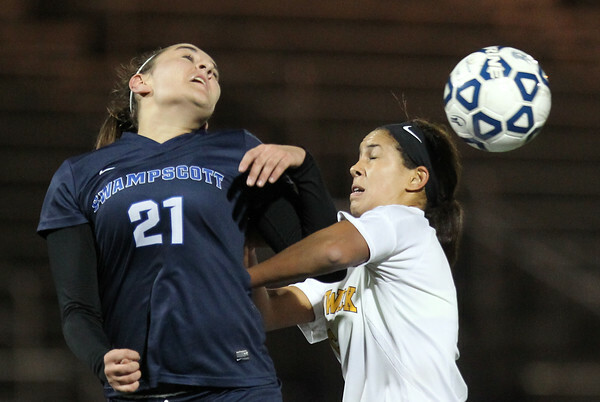 Swampscott senior Emma Wright (21) heads the ball away while being pushed by Bishop Fenwick junior Abby Rocker (6). 11/10/15.